There is a legend that tea came about in China thousands of years ago when a king was boiling water and the wind blew a few leaves from a nearby tea plant into the pot. This discovery was revered in the ancient world, and carries through in popularity today. We are a society that almost obsessively drinks coffee and tea for various effect. While the former is primarily used to wake us up and help us concentrate, the latter, especially green tea, is used for supposed health benefits. 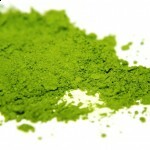 There is a type of tea from japan that is gaining popularity worldwide, and it’s called Matcha. The cool thing about this tea is that it’s ground from a whole leaf, and consumed as powder dissolved in hot water. 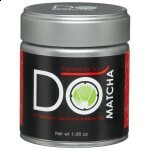 Unlike tea bags or loose leaf that simply steep the leaves, Matcha is wholly consumed. That’s a pretty amazing finding. What piques my interest here is that Matcha contains both caffiene and L-Theanine. This is a scientific finding that supports the reason that Zen monks have been using Matcha for generations. If the combination increases focus and mental clarity, it most likely helps in meditation, and especially, mindfulness. 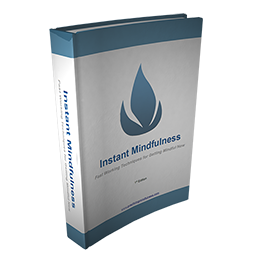 One of the biggest hurdles to mindful meditation is the monkey mind, or scattered and unfocused thoughts. Ingredients in Matcha appear to combat this and help focus in meditation. The most exciting though is the proported stimulation of the production on alpha waves in the brain (a side effect of meditation). 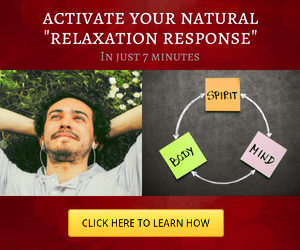 This produces a state of clarity and alertness. 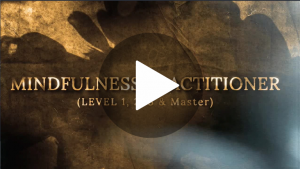 Imagine going into meditation already able to focus. Half the battle can be won before you even sit. On a side note, you can get Matcha in a Starbucks Green Tea Frappuccino as of the time of this writing, and from May 4 – 14th 2012, you can get it half-price between 3pm – 5pm. (I get no financial benefit to suggesting this, I just want to share it with you so that if you’re inclined, you can try matcha.) Enjoy. You can get Matcha Tea Here for a good price if you’re interested.